"That's the question that I think you should ask the president" or Chief of Staff Reince Priebus, Miller told "Meet The Press" host Chuck Todd. "General Flynn has served his country admirably. He is a three-star general. He's head of the Defense Intelligence Agency. And I look forward to having more discussions about this in the future." 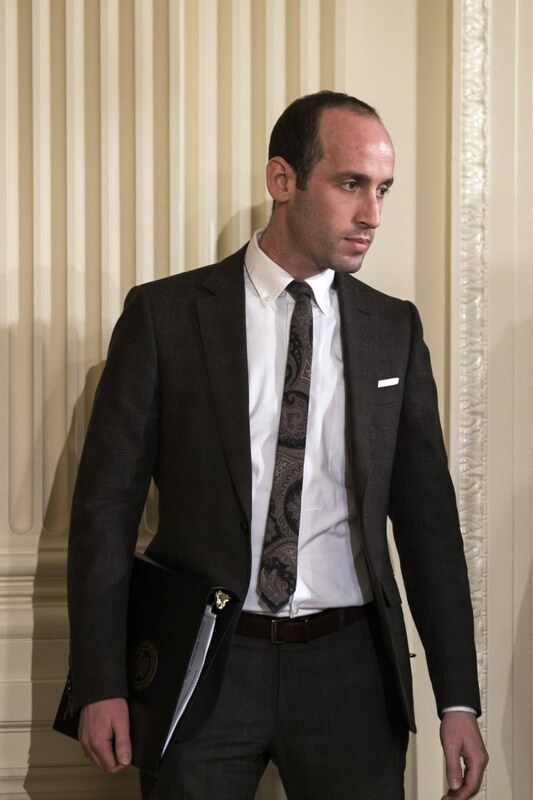 Asked whether misleading the president would be a fireable offense inside the Trump White House, Miller said it wasn’t up to him to answer hypothetical questions. “It wouldn't be responsible. It's a sensitive matter," he said. Miller also made rounds on several other Sunday morning shows, including ABC's "This Week with George Stephanopoulos," where the two got into a heated exchange over Trump's false claims that millions illegally voted in the election. During a closed-door meeting on Friday, the president told senators that the "thousands" of people bused into New Hampshire from Massachusetts on election day prevented him from winning the state.